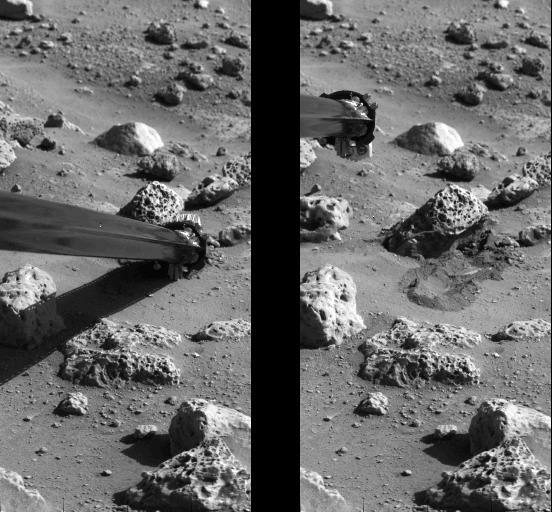 Viking's soil sampler collector arm successfully pushed a rock on the surface of Mars during the afternoon of Friday, October 8. 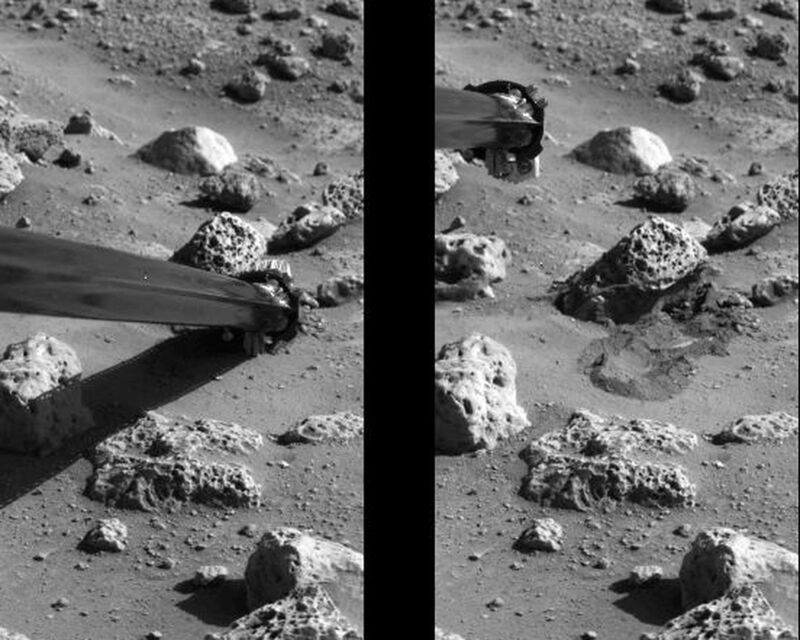 The irregular-shaped rock was pushed several inches by the Lander's collector arm, which displaced the rock to the left of its original position, leaving it cocked slightly upward. 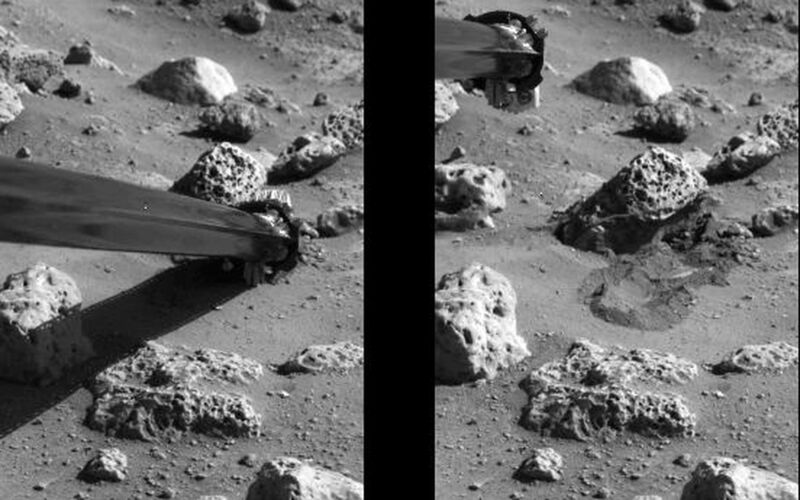 Photographs and other information verified the successful rock push. 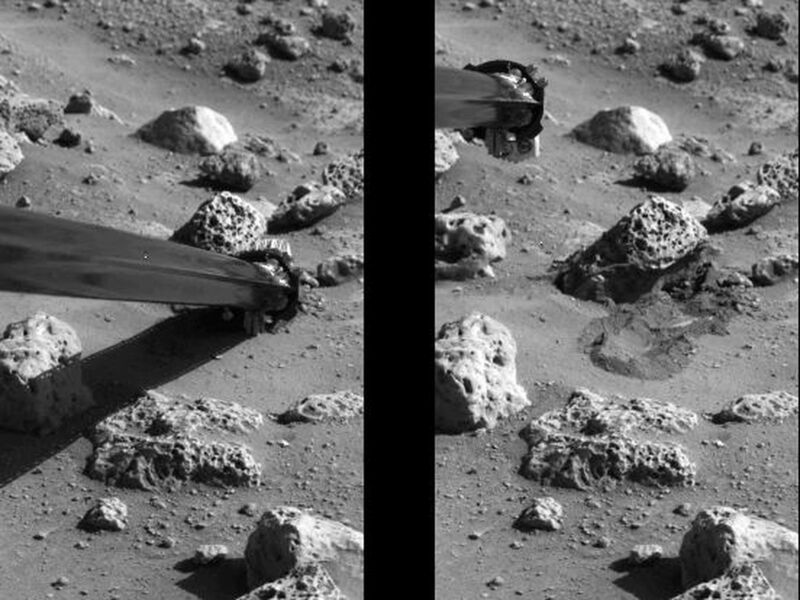 Photo at left shows the soil sampler's collector head pushing against the rock, named 'Mister Badger' by flight controllers. Photo at right shows the displaced rock and the depression whence it came. Part of the soil displacement was caused by the collector s backhoe. A soil sample will be taken from the site Monday night, October 11. It will then be delivered to Viking s organic chemistry instrument for a series of analyses during the next few weeks. The sample is being sought from beneath a rock because scientists believe that, if there are life forms on Mars, they may seek rocks as shelter from the Sun s intense ultraviolet radiation.